Take to the skies with Hawk McQueen! Just like in the animated cartoon “Air Mater”, Hawk McQueen transforms from car to plane mode and features lights and sounds. The interactive McQueen can sense which way he is flying and will say phrases that correspond to his movement. This toy costs approximately £19.99 (for the latest and best prices make sure you check our retailer list for the Cars Hawk McQueen above). 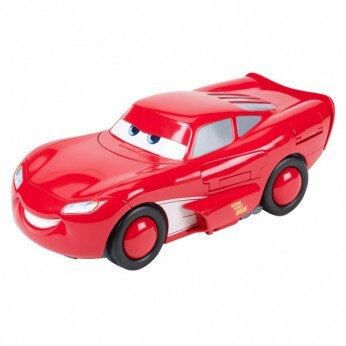 In our review of Cars Hawk McQueen we classed it as being suitable for ages 3 years, 4 years, 5 years but recommend you check the manufacturer specific advice before purchasing.